With a blood alcohol of .232, Mr. Rizzuto was very drunk. He got in his truck in his inebriated state and swung onto N.Carrollton Avenue near Orleans Avenue and mowed down the Endymion parade crowd. At his sentencing, Rizzuto said, I am extremely sorry to all the injured parties or their families. It was never my intention to cause harm to anyone. The events of Feb. 25 have haunted me and will haunt me forever. If I could change the events of that day, I would. Again, I am truly sorry. Willard gave Rizzuto a five-year sentence for each of 11 felony counts of first-degree vehicular negligent injuring, and five months for each of 14 misdemeanor counts of vehicular negligent injuring. All the sentences will be served at the same time. Depending on how state corrections officials interpret the complicated rules for determining “good time” within the prison system, Rizzuto could be a free man within months. A state spokesman said it was too soon to estimate a release date. Several crash victims and District Attorney Leon Cannizzaro expressed disappointment at Rizzuto’s punishment, which came at the end of one of the most high-profile criminal proceedings of the past year. I’m not happy with the sentence, said Mario Basantes, a tourist from New York City who was injured along with his wife. I’m not comfortable with it, because he’s only going to do six months, a year, and he’ll be out back out on the street. I’m still not healed. I probably will never be healed. Basantes, whose pelvis was crushed on both sides in the crash, supported himself with a cane outside of court. Rizzuto wore orange jail clothes and glasses as he turned to a group of victims gathered in Willard’s courtroom and delivered a short apology from notes on a yellow legal pad. I would like to apologize to the victims, Rizzuto said, before reading off the long list of those hurt in the incident. Endymion is one of three Super Krewes, and with more than 3,000 riders it is by far the largest parade with allegedly the largest crowds in Mardi Gras! 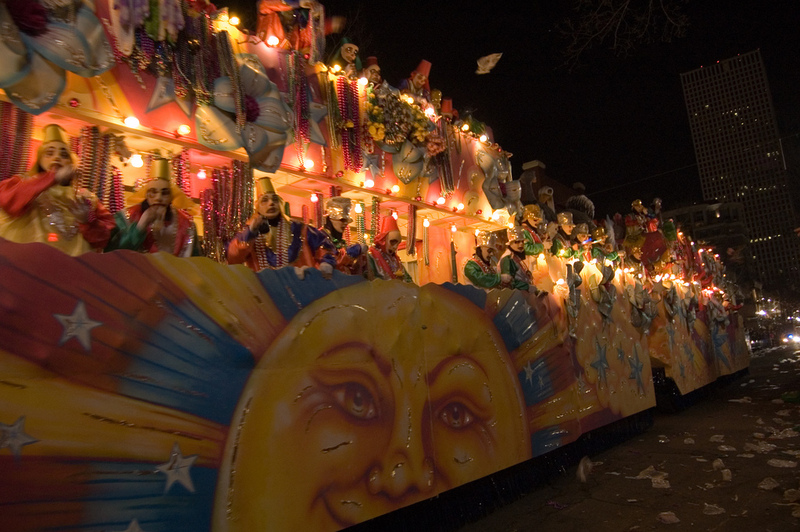 Endymion features 37 floats. Many are tandem units with up to nine sections, meaning Endymion rolls on over 80 chassis! The motto of the Krewe is “Throw ’til it Hurts” and we estimate that we toss over 15 million throws along the parade route. Endymion begins on Orleans Avenue with Samedi Gras which may well be the world’s largest block party. More than 30,000 Mid-City residents gather with food, beverages, friends and family to welcome the parade and help kick off the largest parade in Orleans Parish. Endymion is the only parade that rides to and through the Mercedes Benz Superdome where the Endymion Extravaganza is held. 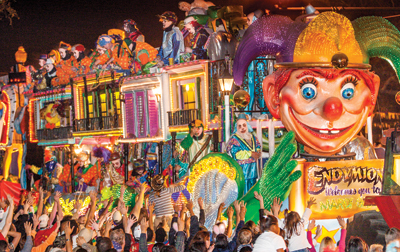 After the gigantic floats, Endymion continues the tradition of providing the finest entertainment in Mardi Gras. Past performers include Steven Tyler, Pitbull, Luke Bryan, Carrie Underwood, Kelly Clarkson, Maroon 5 and many, many others! Eleven regional and national bands entertain 20,000+ guests until 3:30 am.